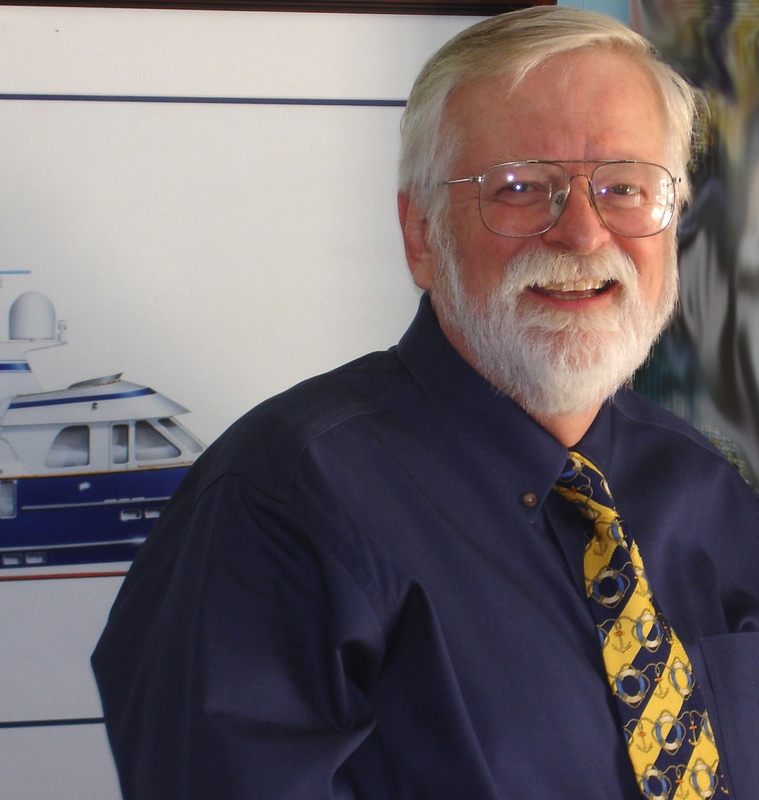 I have been actively and professionally designing sailboats and motor yachts for 45 years, (Jan of 1969). Born in a small southern Illinois farming town, the son of an U.S. Army officer I spent most of my early years living overseas. When military service became an option, the U.S. Navy (I am a current Life Member in the “Navy League”) was the logical choice. I volunteered, culminating a lifelong fascination with the water, boats, and what makes them go. From America’s Cup 12 meters to 94 knot racing power boats, I have worked on almost every type of marine craft both commercial and pleasure. Sketching boats (at 15 years old, in Seattle) was a pastime for me long before I was ready to earn a living. The chance to do both, however, began when I went to work for Bill Garden, the premier Seattle yacht designer during the summers of 1963 thru ‘65. I also had a great time working part time with Ed Monk Sr. during those early years in Seattle. This was also the time of my life when I turned down a contract to play professional Baseball; not in the minors but in the “Bigs”. It was hard to turn down professional sports but the drive to be a yacht designer was too compelling. The experiences that I gained with those two great designers lead me to Morgan Yacht Corp ub St. Petersburg, FL, at the time, the top production boat company in the United States. There I was working directly under Charles Morgan as employee number 5 of 650 or so. Later I ran my own boatyard, Hidden Harbor Boat Works, Inc. in Sarasota, Florida. During those years I designed as well as built a number of well known custom yachts, all of which are known as “Goldplaters.” The ability to own and run this shipyard makes me very unique as I know both sides of the custom boat building business. I, along with two others was there at the very beginning when forming the shipyard in Anacortes, WA known as Northern Marine. I also did a long series of designs for Delta Marine in Seattle, WA. The first yachts built by Delta were Seaton Designs, the most famous of which, being the 70 footer “Zopolite”. Another of my designs that Delta built was the first 110 footer, “Onika”. Onika won “Best in Class” in the famous ShowBoats magazine competition shortly after being launched. Building yachts, however, took too much time away from designing, so leaving the financially successful boat yard business behind, I concentrated all of my efforts on my own design firm. Later I joined talents with one of my employees (and current friend), Chuck Neville forming SEATON-NEVILLE Naval Architects of Clearwater, Fla. For over 11 years the partnership was successful and productive until we both decided to dissolve the partnership so that we could pursue our own personal goals. Late in 1988 I moved to the Northwest to open a small design office with the idea of limiting my work to special projects. I like to maintain a direct and close relationship with each client. My diversified abilities have helped me to work on a wide variety of both large and small projects for both custom and production clients. Stephen R Seaton Design is modeled closely on the prestigious firms of decades past. I tackle a little bit of everything: And I mean everything. 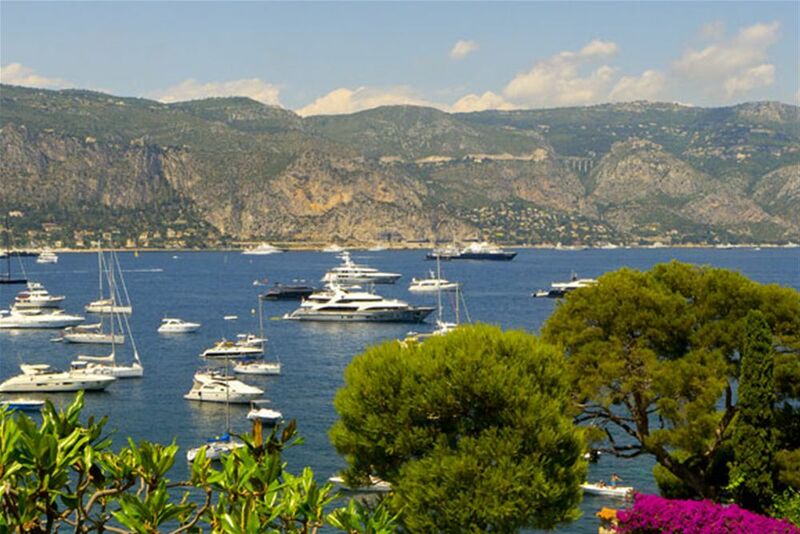 Large custom motor yachts, small production sailboats, go-fast sport boats, and even commercial and US Coast Guard approved passenger vessels of all sizes and descriptions. For me it’s what makes the design business fun. It also helps me to bring to each new project the freshness of talents, which is active in many varied disciplines. My designs have ranged in size from eight foot dinghies to vessels of over a hundred and fifty feet, and unlike most firms I have become equally known for motor yachts and sailboats alike. 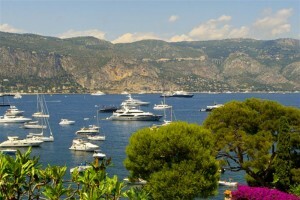 The yachts I design are as different from project to project as the clients who commission him. The list of clients goes on and on with a host of “dyed-in-the-wool” real sailors as well as having received a call from the President of the United States asking for advice on the boat building industry. It has been said that whether its power or sail, all SEATON designed vessels show a characteristic sensitivity to detail and balance that is proper and fitting for a luxury vessel, or any vessel for that matter. In all aspects from design to decor Seaton vessels just look and feel right. It is this sophistication and attention that I have learned in 530+ custom yacht projects. This experience has also made my abilities a valued commodity for an increasing number of production boat builders. No “Walmart type designs here”.